(Bloomberg) -- Luxury auto sales are outpacing U.S. industry gains as BMW and Mercedes-Benz lure buyers from mainstream brands with lower-priced models. 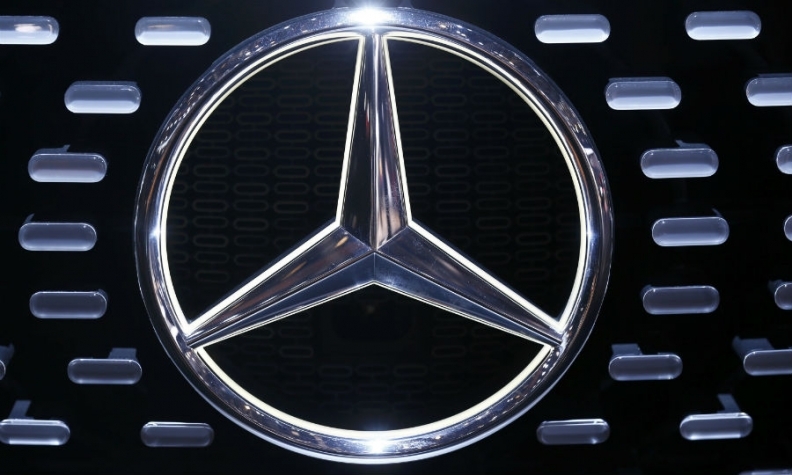 Deliveries for Daimler AG’s Mercedes surged 13 percent from a year earlier to 29,188 for the brand’s best April ever. BMW reported that sales rose 6.9 percent to 26,952, also a record. Toyota Motor Corp.’s Lexus sold 25,876 vehicles, a 12 percent gain and 50 shy of its peak level for the month. For the year to date, Mercedes-Benz pulled ahead of BMW in April and now leads its chief German rival by 1,900 vehicles in volume. Mercedes also leads Lexus, in third place, by 4,288 through April. Through March, BMW led Mercedes by just 336 vehicles and Lexus by 1,312. But the momentum is behind Lexus, where deliveries have surged 17 percent this year, compared with gains of 8.1 percent at BMW and 8.9 percent at Mercedes. BMW captured the luxury sales crown in 2014. The luxury segment will expand 7 percent to 8 percent this year, outpacing the 5 percent growth expected for total auto sales, said Larry Dominique, president of ALG Inc., which sets auto resale values for the industry. Much of the growth is coming from the luxury automakers introducing lower-priced models to bring in younger buyers, Dominique said. Even as luxury sales are growing, average prices are falling as less expensive vehicles are added to lineups and discount leases are offered, he said. Mercedes’s gains were led by its entry-level models, the C-class and CLA sedans and the new GLA small SUV. For the year through April, sales have risen 9 percent to 107,344. BMW AG’s namesake brand posted increases of 5.9 percent for the 3 and 4 Series and 8.1 percent for the 5 series. For the year, BMW deliveries have climbed 8.1 percent to 105,444. Toyota said Lexus is off to its best four-month start in its 26-year history, increasing 17 percent to 103,056. Lexus estimated that sales for all U.S. luxury brands advanced 9 percent in April, growing faster than mainstream brands. The average of 12 estimates compiled by Bloomberg was for a 5.9 percent monthly gain for the industry. The results exclude Daimler’s Sprinter vans and Smart cars and BMW’s Mini brand, which aren’t luxury vehicles.